Air Charter Advisors is your source for luxury air travel, private jet management and aircraft acquisitions in Savannah, GA.
Savannah is one of the largest cities in Georgia and a top tourist destination, home to cobblestone streets, antebellum architecture and a variety of important historic and cultural buildings. Renting a private jet to (SAV) Savannah/Hilton Head International is the most comfortable, stylish and flexible way to travel, and our team arrange on-demand private jet charter service anywhere around the world. Our access to thousands of private jets and turboprops allows you to choose the perfect plane at the right price, all while applying some of the highest safety standards in aviation. Our company’s number one goal is the safety and comfort of all of our passengers for every flight we arrange, and we carry one of the highest accrediations in private aviation to give clients peace of mind when arranging private charter flights with us. Our air charter brokerage is Wyvern-certified, and every plane we arrange for private charter flights to/from Savannah are operated by FAR Part 135 (or foreign equivalent) air carriers. For each flight, we check reports detailing aircraft maintenance, operator history and pilot experience, and every plane must fit within our strict safety and operational standards — we’ll refuse a flight if it’s something we wouldn’t be comfortable putting our own mothers on. Our safety standards have attracted executives, athletes, celebrities, personal assistants and leisure travelers from around the world to arrange their private air travel with our team. ACA is here arrange all of your private aviation details, whether its booking your private jet, arranging gourmet catering & luxury ground transportation, or private jet management or private aircraft sales & acquisitions services – let us become your comprehensive aviation solution for luxury air travel, aircraft acquisition and private jet management Savannah, Georgia. Call us at 1-888-987-5387 or request a charter quote for your private flight. When you book your private flight with us, you can enjoy having an experienced air charter broker working to get the best deal for you without ever sacrificing quality, safety or comfort. Private aviation provides travelers with unmatched convenience and flexibility, and private jet passengers arranging their private flight with ACA can choose from 11 airports within 50 miles of Savannah, although there are only four public-use airports within 30 miles of the city, three of which offer private FBO services. Charter a private flight to Savannah, the riverside birthplace of Georgia and a premier destination for pro-golfers, nature fanatics and leisure tourists alike. Established in 1733 on the Savannah River, it’s the oldest city in Georgia, first serving as the British colonial capital of the Province of Georgia and later as Georgia’s first state capital; it’s location provided a strategic port during both the Revolutionary War and Civil War. Today, Savannah is one of only a handful of Southern cities with its antebellum charm and architecture still intact from the 1800’s — Sherman marched into Savannah in 1864, and the mayor handed him the keys to the city to prevent him from torching it, leaving one of the largest, most visited historic districts in the United States. Savannah serves as the seat of Chatham County, and it’s Georgia’s 5th largest city and 3rd largest metro area. 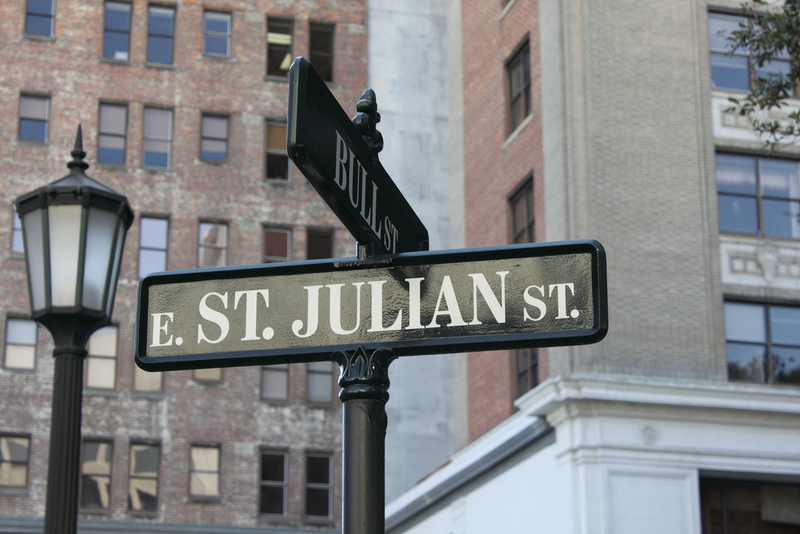 It’s also still home to an important Atlantic seaport, which has maintained its position as an industrial center. Whether flying privately into (SAV) Savannah/Hilton Head International Airport to bring the family to the waterfront or to conduct business in and around Chatham County, we can help arrange the right aircraft and flight itinerary that best suit your needs. 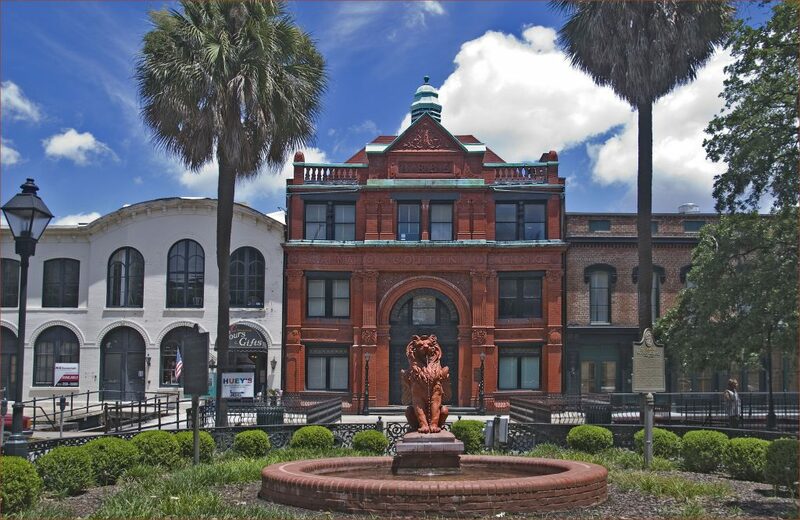 Come to the historic center to experience all things the city has to offer, from its history to architecture dating back to the 18th and 19th century. 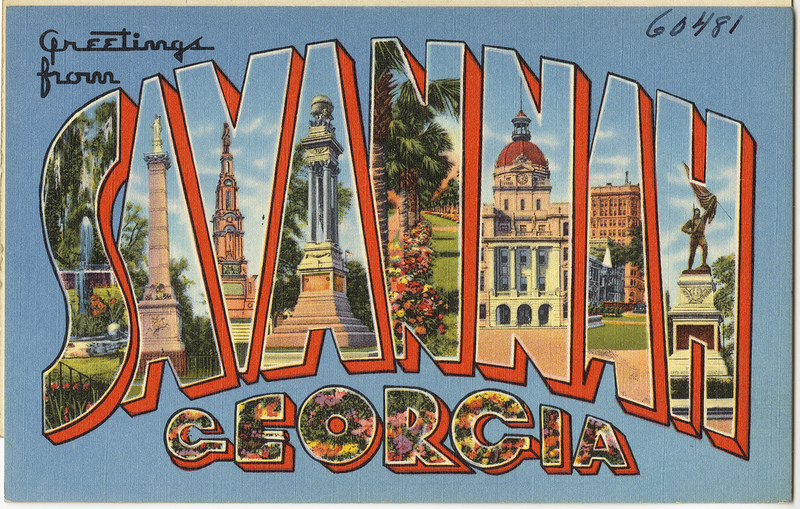 The number one attraction in Savannah is its charming and picturesque historic district. While traversing this old-fashioned waterfront strip, you’re bound to see people walking around in a romanticized daze, gawking at the old fashioned steam boats floating in the Savannah River and doling out quick and polite no-thank-you’s to the persistent street vendors selling touristy knick-knacks. The Historic District boasts vibrant and festive boutique shops, quaint yet decadently furnished antebellum buildings, and the hands-down best fried green tomatoes that will ever grace your palate. Forsyth Park is really a beautiful place to spend some time, be it people watching, relaxing, having a picnic, or spending time with friends and/or family. On Saturdays, a Farmer’s Market is held here. Savannah is also the setting for the novel (and later feature film) Midnight in the Garden of Good and Evil, offering an additional boost to the local tourism industry. Visiting a cemetery doesn’t sound like much of an attraction, but Bonaventure Cemetery is a historic site and popular tourist destination for over 150 years. The sculptures, terrain, and architecture that make up the grounds tend to lure people in, as well as the folklore of the site. Of course, with all the allure of a pre-Civil War town turned into an artsy and attractive tourism hub, many people visit and neglect to enjoy everything else that this beautiful city has to offer. So make sure while your taste buds are crying tears of joy as you munch on southern delicacies, that you take some time to think about visiting the other areas of Savannah. Tybee Island, located just east of Savannah along the Georgian coast, is famous for a wide variety of delicious cuisine, outstanding luxury accommodations lining the beach and a wealth of recreational activities for everyone to enjoy. The island has been a favorite getaway of resident Savannahians for decades, and despite officially reverting its name in the 1950s, Tybee Island is still known by many as “Savannah Beach”. Visitors can relax on miles of uninterrupted public beaches, explore salt marshes covered in wildlife and enjoy deep sea Atlantic fishing charters. Check out the list below for more things to do after your private flight to Savannah, Georgia. ACA is your source for executive jet charter service to/from Savannah, GA and surrounding areas of Chatham County and the Georgia-South Carolina state line. Enjoy access to thousands of sleek, modern business jets at a moment’s notice, and competitive charter rates while applying some of the highest safety and due diligence processes in aviation. Whether you’re arranging a short flight from Atlanta to Savannah, flying across the county, or traveling from across the Atlantic, our services span the globe, and with access to locally based private aircraft and transient jets, we can connect you to the perfect jet for your team. Savannah’s economy was originally based on agriculture, particularly silk and cotton given Georgia’s mild climate and perfect growing conditions. 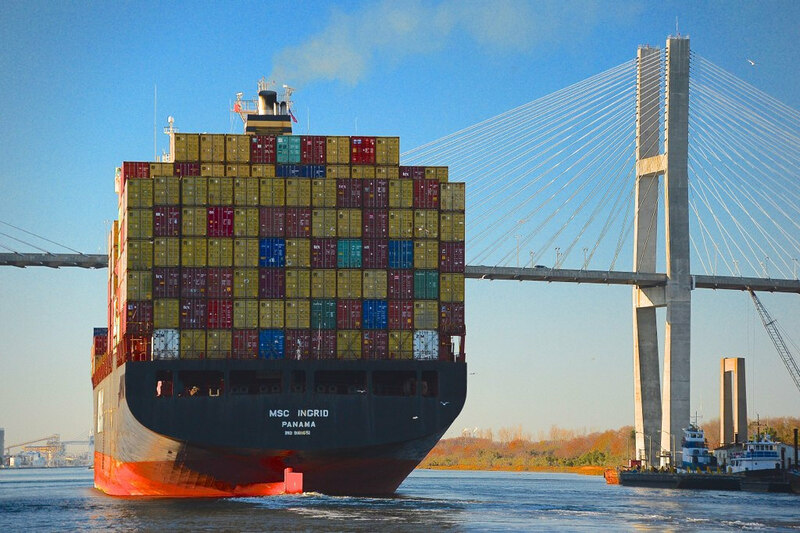 By the 19th century, the Port of Savannah was one of the most active ports in the country; from 2009-2014, the port ranked as the 4th largest in terms of shipping container traffic across North America. 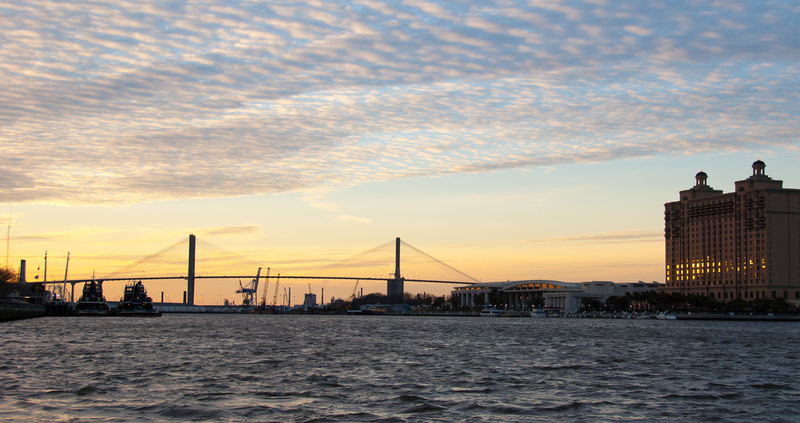 Today, the Port of Savannah, manufacturing, military, and tourism are Savannah’s four major industries. The city is home to Gulfstream Aerospace, makers of some of the most popular long-range private jets in the world, including the GIV, G500, and G650. Other major companies based here include TitleMax, Morris Multimedia, and International Paper, the city’s largest employee and formerly the world’s largest paper mill. Savannah is the biggest tourism draw in the American South next to New Orleans, so it has more than enough lodging options for private jet travelers. 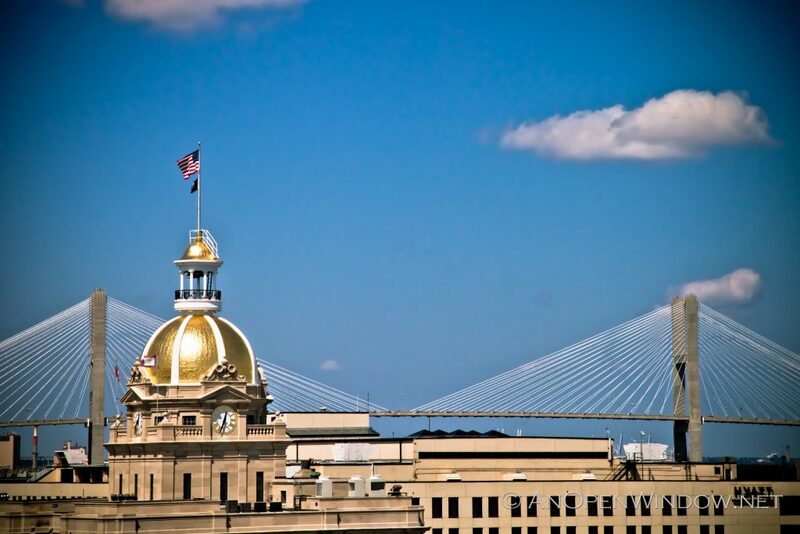 From the gorgeous southern colonial architecture and famous fried green tomatoes served with southern hospitality, to a veritable army of fun and interesting diversions, the city offers things seldom found in other parts of the United States. Air Charter Advisors offers access to the following Wyvern-certified aircraft at a moments notice. All of the private jets and turboprops we utilize for charter flights to/from Georgia are operated by FAR Part 135 or 121 (or foreign equivalent) air carriers, using only veteran pilots in the private jet you’re renting. Our Private Jet Charter Savannah brokers will provide you with a variety of aircraft options based on the goals and budget of your trip, allowing you to charter a cost-effective aircraft, the most luxurious jet on the market, or somewhere in between. Air Charter Advisors can arrange private jet charter service to/from Savannah and surrounding areas of the Georgia/South Carolina border using three main airports in the area. Additional airport options are listed below. The following airports are located in Georgia and South Carolina, and are within 50 miles of Savannah, offering a variety of different arrival/departure options based on your location. Listed below the airports are their longest runway, as well as distance to the city center, and available FBO terminals. Request a FREE quote or give us a call at 1-888-987-5387 to speak with one of our Savannah Private Jet Charter agents for your next luxury vacation, business trip, or special event.